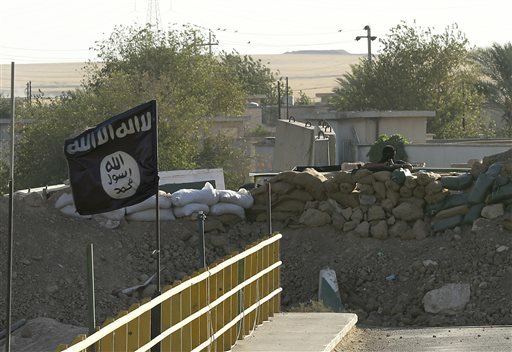 WASHINGTON (AP) — President Barack Obama acknowledged that U.S. intelligence agencies underestimated the threat from Islamic State militants and overestimated the ability and will of Iraq’s army to fight. Questioning Obama’s strategy to destroy the group, House Speaker John Boehner said the U.S. may have “no choice” but to send in American troops if the mix of U.S.-led airstrikes and a ground campaign reliant on Iraqi forces, Kurdish fighters and soon-to-be trained Syrian rebels fails to achieve that goal. Boehner, in an interview broadcast Sunday, did agree with the White House that Obama had the power to order airstrikes in Iraq and Syria, but said he believes Congress should consider a resolution authorizing the use of force for this specific mission. Boehner, R-Ohio, said he would bring lawmakers back to Washington — they are not set to return until after the Nov. 4 election — if Obama were to seek such a resolution. Obama described the U.S. intelligence assessments in response to a question during a CBS “60 Minutes” interview that was airing Sunday night. He was asked about how Islamic State fighters had come to control so much territory in Syria and Iraq and whether it was a surprise to him. The Obama administration has cited its intelligence weaknesses before. At an August news conference, he said “there is no doubt” that the Islamic State group’s advance “has been more rapid than the intelligence estimates” suggested it would be. Obama called Syria ground zero for jihadis around the world, and said military force was necessary to shrink their capacity, cut off financing and eliminate the flow of foreign fighters. He had been less adamant about the threat in the past. In an interview published early this year by The New Yorker, Obama appeared to minimize the Islamic State group militants by comparing it to a junior varsity basketball team. The White House at the time said he was speaking about a different threat posed by a range of extremists across the world. The White House pushed back against Boehner’s comments on ABC’s “This Week” about the potential need for American ground troops to confront the militants. But Obama’s deputy national security adviser, Tony Blinken, said the country would not see a repeat of the Iraq war.